At the same time as LIFFE commissioned the ‘OPEN OUTCRY’ trader bronze in 1991, I was summoned to the office of the chairman of the stock exchange, Sir Hugh Smith. I remember being very impressed with the beautiful early bracket clocks on antique side tables in the corridors and then into the great man’s office and there was a magnificent little Tompion*. He kindly commissioned me to make a new sculpture, again in bronze, to my own design for The Stock Exchange to gift to LIFFE and LOTM as they parted company and moved to their new HQ at Cannon Bridge. 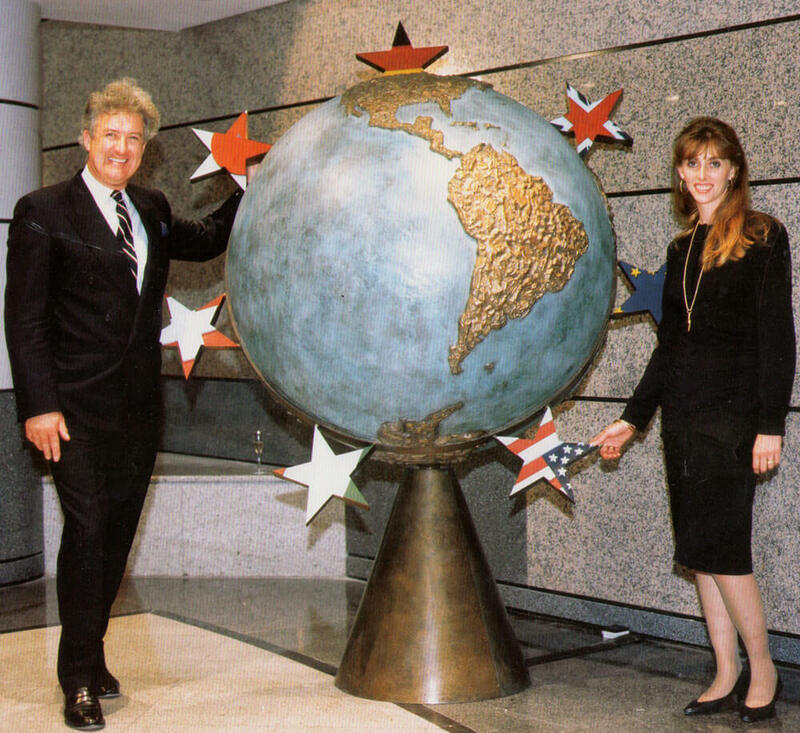 My studio team and I duly designed the trading globe which was mounted on a rotating pedestal base and had 5 major trading currencies sculpted onto the Greenwich Meridian. Sterling; US Dollar; Euro; Yen and Swiss Franc were then all individually highlighted by a strong laser as the globe rotated. Came the dedication and unveiling ceremony, which should have been a great celebration, but as fate would deal, it was held at 6pm on Black Wednesday, September 16th 1992, the night that George Soros had run Sterling into the ground. The new LIFFE trading floor had closed. Sir Hugh Smith, Michael Jenkins and a group of the most senior members of both teams stood ashen faced and gave their speeches, duly dedicated the sculpture and scurried off for a very strong drink and to mop up the havoc that had been wrought by one of the worst days for the UK currency in trading history. Speculators had forced the British government to pull Sterling from the European Exchange Rate Mechanism, the ERM. 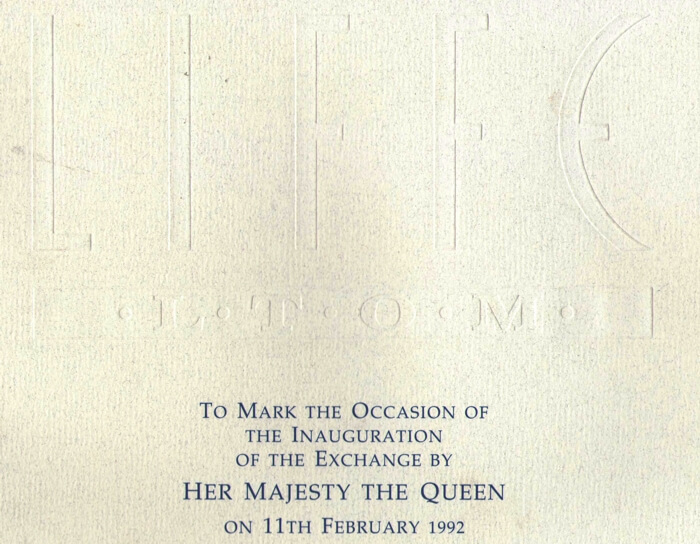 I had also been commissioned to make the plaque to commemorate the official opening of LIFFE by HM The Queen. * Thomas Tompion (1639–1713) was an English clock maker, watchmaker and mechanician who is still regarded to this day as the Father of English Clock making.